Happy Friday! 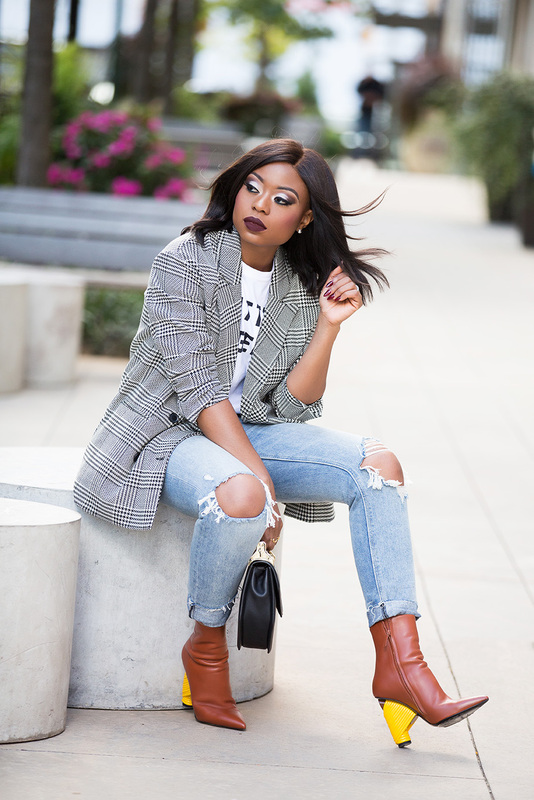 Another weekend look incorporating fall season must-have Houndstooth blazer and check blazer. I wore this look couple weeks ago for brunch with friends. 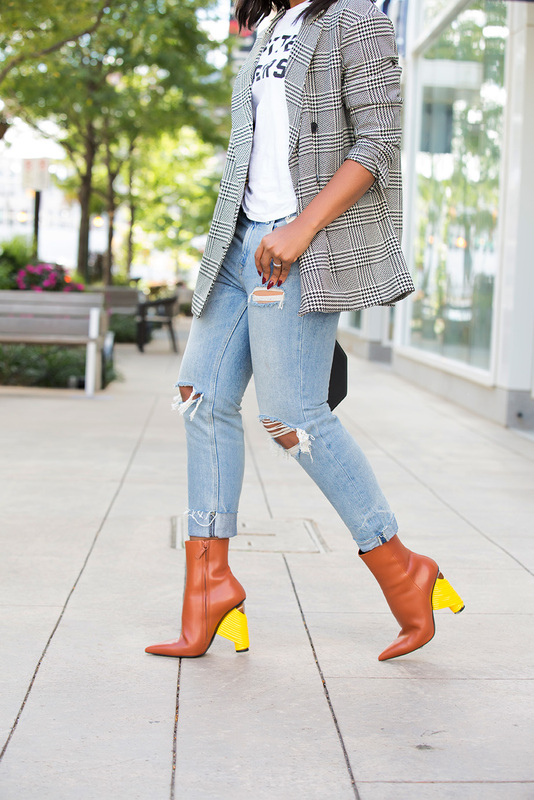 As previously mentioned in this post, jeans are my go-to for the weekend or casual days. With the changing weather, blazers and boots come in handy. One specific style blazer to expect this season are check print blazers. Just like the color red, check blazer is a must-have this season.